I have been using the Sony Xperia Z3 for approximately two weeks now and so far I am absolutely loving it! MSRP: $699.99 in Canada unlocked or through Bell. Also available in the US from Verizon with various plans and pricing options. Provide me with some new tech and I am like a kid in a candy store. 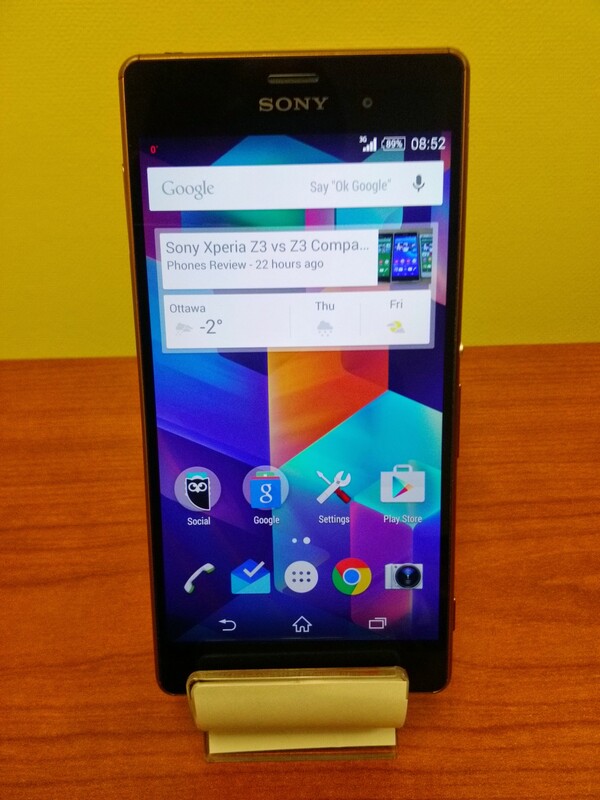 I am thrilled to be able to review and use the Sony Xperia Z3. I received the gorgeous copper color model shown below. The Z3 is available in 4 colors: white, black, green and copper. The glass panels on the front and rear of the phone, with the aluminum edging gives the Z3 a sophisticated and sleek. It feels like a premium phone and the Z3 feels solid when holding it. It is a beautiful phone to look at and hold in your hand. The dimensions of the Z3 are 146 x 72 x 7.3 mm. The phone has a bright IPS LCD display with a 5.2″ screen with 1920 x 1080 pixel resolution. It uses Sony’s Triluminos technology and X-Reality Engine. I find it to be clear, crisp and beautiful to look at and use. Videos play back very nicely on the Z3. The front facing speakers are perfect for watching videos and listening to music. The Z3 runs Google’s Android. 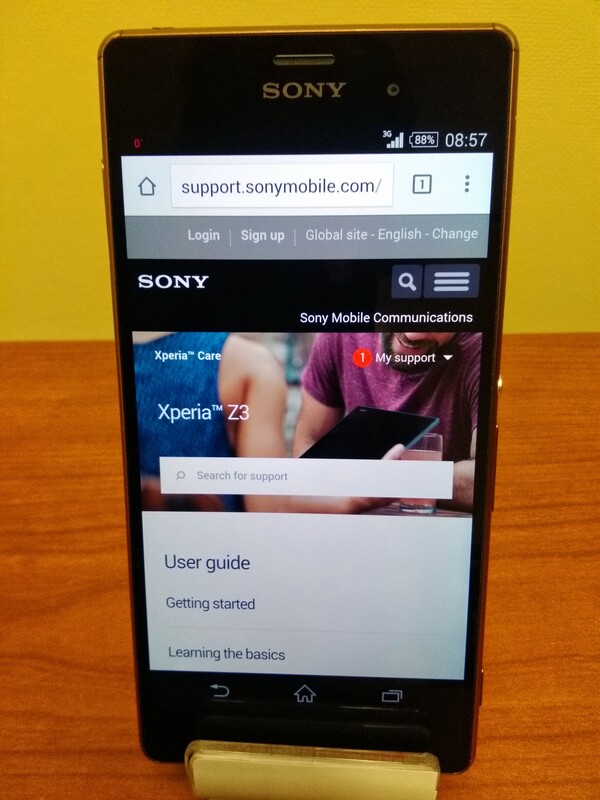 My Xperia Z3 came running Android KitKat 4.4.4 and this review is based on my use of it. I have received a notification for the update to Android Lollipop 5.0 but have not installed it as of yet. I will be updating my Z3 soon, so check back for some future posts with the cool features that Android Lollipop has to offer. I really like Android OS. My tablet is Android and I use a Chromebook at home so the Xperia Z3 fits in really nicely with my family of Android products as everything syncs nicely together. 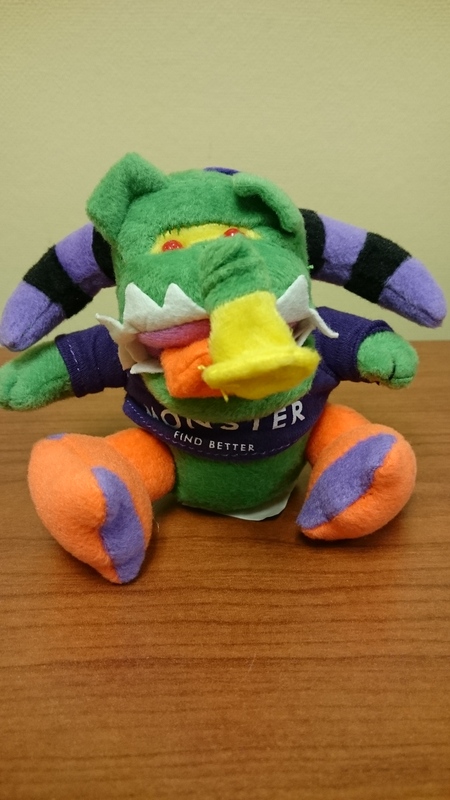 I use Google Drive and have set up IFTTT (If This Then That) to automatically sync photos, documents, etc which I can access from any of my Android devices and other computers as well. The Sony Xperia Z3 comes with some built in Sony apps which are fun to use too. Sony had included its own version of an image gallery called Albums, a music app called Walkman, and its movie app which lets you rent movies. Sony has also included an its own health tracker called Lifelog, which I will be going into more detail in a future post, as it is a great app to help with work-life balance and flow. The Xperia Z3 also includes Sony Select which curates apps for you to use with your Xperia to help provide the best experience. There is also a Playstation app which lets you play Playstation 4 games on your Z3 anywhere at home. 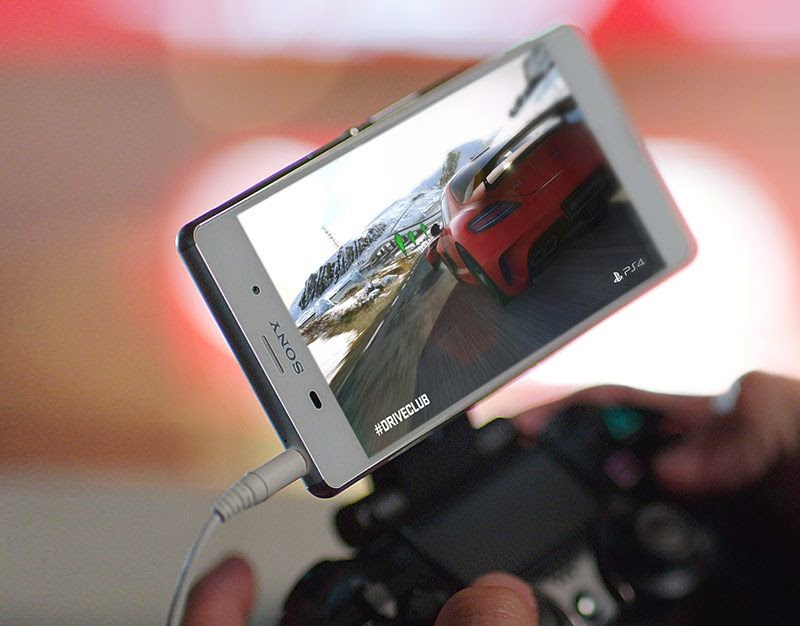 You can use the Xperia Z3 as a remote screen for the PS4 by using the PS4’s DualShock 4 controller (as shown below). One of the coolest features of the Z3 is that it is waterproof and dustproof. It has an IP58 rating. This means that the Z3 can survive up to 1.5 meters underwater for 30 minutes (providing that you have all the ports closed properly and are not using it in salt water). When it is underwater, the touchscreen will not work but there is a dedicated camera shutter button on the side of the Z3 for aquatic pictures. I don’t know if I will use my phone underwater but the waterproof feature means I can take out my Z3 when it is raining or snowing outside and use it without fear of damaging it. Also, if you are occasionally clumsy and accidentally spill something on your phone it won’t be damaged (as long as the side ports are closed properly). 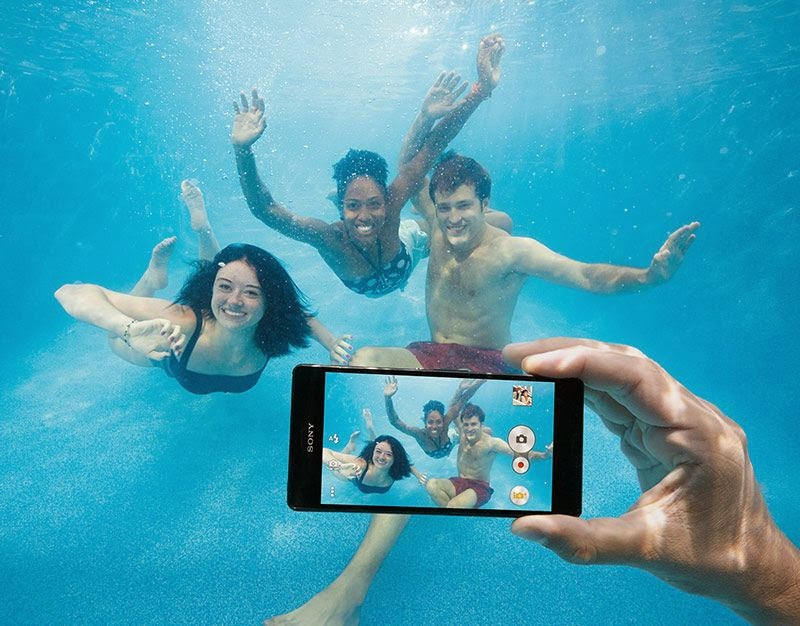 The Xperia Z3 comes with a 20.7MP camera. It also includes a few apps and features to help edit the photos that you take. 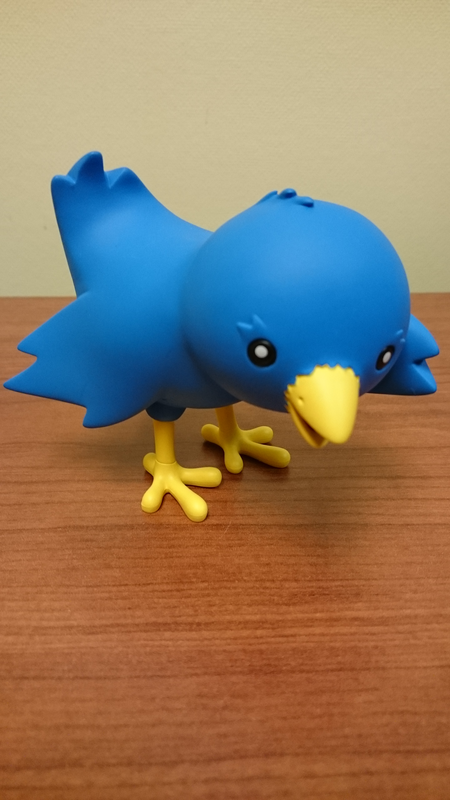 Here are some samples of photos that I took with the Z3 (indoors and out) without any editing. 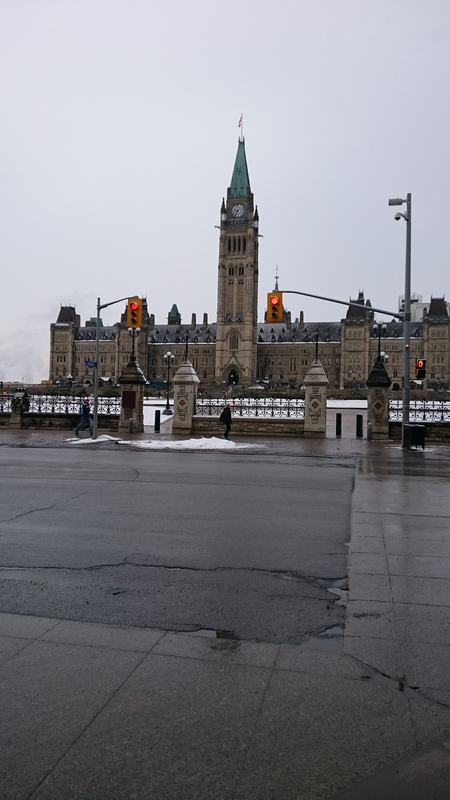 The above photo was taken outside during rainy conditions. The above photos were taken of random items that I have on my desk and with no windows around to provide natural light. One of the best features of the Sony Xperia Z3 is its battery life. It has a 3100 mAh battery built in. I can easily go two days with regular use without charging it. Sony has also added Ultra Power Saving mode to the Z3. When this feature is activated it turns the Z3 into a ‘basic’ phone with no internet connection, reduced use of the home screen, and access only to the contacts, SMS/MMS, camera, album, calendar, alarm clock, clock, calculator, UKW radio, and settings apps. In this mode, the Z3 can last 3 to 5 days without having to be charged. I will be putting the Z3 under some heavy use later this month when I attend a conference and I am excited to see its performance under long and heavy use (as a Wi-Fi hotspot, and while taking notes and live tweeting things). For those that may not be comfortable picking up a new phone and figuring out all the features and how to use it, Sony also has a user guide which is easily accessible through the home webpage that shows you everything you need to know about your new Xperia Z3. Other specs include 3GB RAM and 16GB of onboard storage (with expandable microSD slot up to 128GB). You also have dual band Wi-Fi, Bluetooth 4.0 and NFC connectivity. 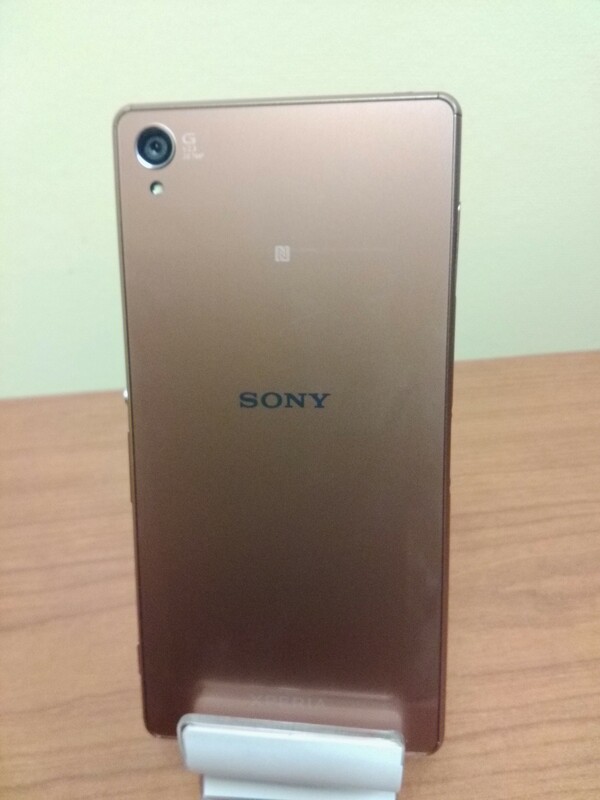 The Sony Xperia Z3 is a beautifully designed phone. It has a great high-resolution camera, bright LCD display, and superior lasting battery power. Even with the minor flaws mentioned at the beginning of the post, the positives definitely outweigh the negatives. It is one of the best phones that I have ever used and I highly recommend the Z3. With Mother’s Day and Father’s Day around the corner – if you are looking for a new smartphone to give as a gift, consider the Xperia Z3. 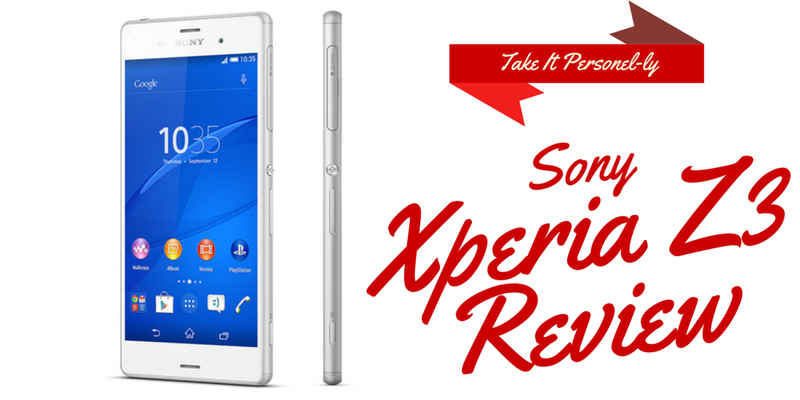 If you own an Xperia Z3 I would love to hear your opinions of it too. Please leave a comment below. Stay tuned for more posts about the Xperia Z3 and how it can help you balance your work life with home life. 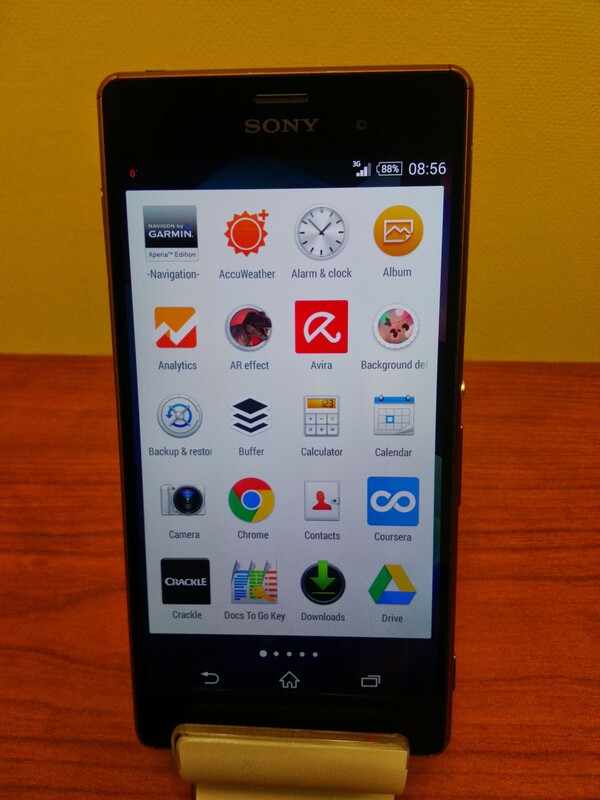 I received an Xperia Z3 from Sony for this review. Good or bad, my reviews are honest with my readers best interest in mind.